Shaquille O’Neal, aka Shaq, is a retired professional basketball player who is currently serving as a sports analyst. During his 19 year career Shaq played for six teams, and is currently considered one of the greatest NBA players in history. O’Neal has also released four rap albums, and has starred in numerous films and TV shows. As of 2019, Shaquille O’Neal’s net worth is roughly $400 million. Shaquille O’Neal was born in Newark, New Jersey on March 6, 1972. His biological father struggled with drug addiction and was imprisoned for drug possession when O’Neal was an infant. The two never had a relationship, and his father relinquished his parental rights to O’Neal’s stepfather. O’Neal found his frequenting the Boys and Girls Club in Newark as it was a safe space. He did not play on a team, but he did use the space to shoot hoops. However, his step-father was in the military and the family was soon sent to bases in Germany and Texas. In highschool O’Neil led his team to a 68-1 record over two years and a state championship in his senior year. After highschool he played for the Louisiana State University team, where he became a two time All-American, two-time SEC Player of the Year, and other recognitions. In 1992 O’Neal was drafted by the Orlando Magic with the 1st overall pick in the NBA draft, and before moving to Orlando he was mentored by Magic Johnson. O’Neal quickly made history by becoming the first player to be named Player of the Week during his first week in the NBA. He played with the Magic until the 1995 season, after which he became a free agent for the following season. In 1996 he was named to the US Olympic basketball team, which became a gold medal winning team in 1996. Following the Olympics he joined the LA Lakers on a seven year contract. O’Neil continued to improve his stats and lead his team to championships. O’Neal had frequent injuries throughout his career, but his most debilitating injury was his degenerative arthritis in his toe. He had surgery in 2002, and was sideline for the first 12 games of the 2002-2003 season. The Lakers fell to the fifth seed and did not reach the finals in 2003. O’Neals final few seasons alternated between teams. 2004 until 2008 saw him playing with the Miami Heat, where he experienced more career highs, and a few more injuries. In 2008 he was transferred to the Phoenix Suns for a season. 2009-2010 saw him playing for the Cleveland Cavaliers, 2010-2011 was the Boston Celtics, where he retired from. Shaquille O’Neal has become on the most recognized names in sports. He has broken and set many records and standards in the sports. His net worth is a combination of his sports, television, music, and film career, and continues to grow with him. As of 2019, Shaquille O’Neal’s net worth is $400 Million. 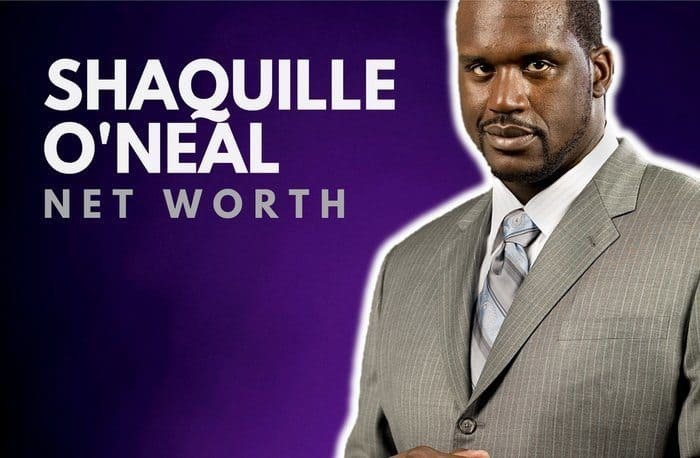 What do you think about Shaquille O’Neal’s net worth? Leave a comment below. Shaq grew up right down the highway from me in NJ Dan 😉 3 years on me though, and by the time he reached high school age he was long gone. If he stuck around he’d have attended one of the North Jersey catholic school powerhouses that have churned out about 20 plus NBA players over the years.